Pour water over chocolate in bowl. Stir to melt and set aside to cool. With mixer, cream butter and vanilla, add brown sugar and blend well. Beat in eggs, 1 at a time. Sift flour, soda and salt into creamed mixture and mix well. Blend in sour cream and chocolate mixture. Pour into greased 9×5 inch loaf pan. Bake at 350 for 1 hour and 15 minutes. Cool for 10 minutes and frost. Garnish with pecans. May be prepared ahead. Blend butter and brown sugar in saucepan. Boil over medium heat for 2 minutes, stirring continuously. Add milk and bring to a boil. Remove from heat and cool to lukewarm. Gradually stir in sugar until frosting reaches desired consistency. Mix in vanilla. 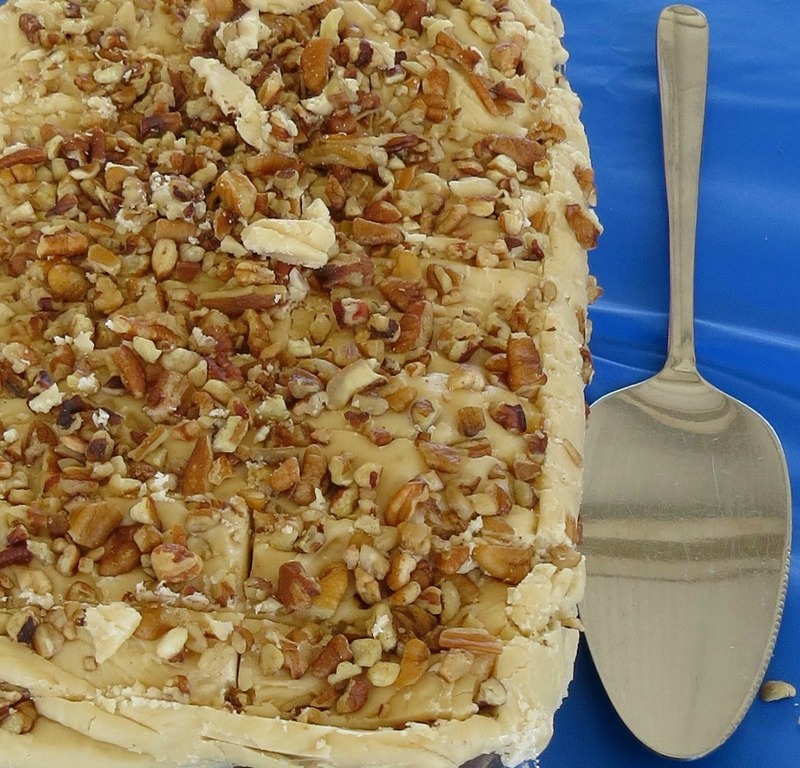 Posted in Recipe and tagged Texas Pecans. Bookmark the permalink.